Thank you Dr. Small! Office is clean and staff was super nice. He even recommended laser treatments for my ankle pain. After just one treatment I already noticed a difference. I highly suggest this office if you are not happy with your current Dr.
Delightful people. The doctor was knowledgeable and friendly. The check in process was easy. Got appointment quickly, convenient locations, professional personnel, clean office, and competent Dr. Small. Over the years, I have been a patient of Dr. Small whenever I had a foot problem. His offices are clean. His staff are very professional, efficient, and kind. Dr. Small is an excellent doctor with a friendly manner. He is a very good individual who truly cares about those he treats. Dr. Small is the best! Not only a great podiatrist, but an excellent medical doctor as well. 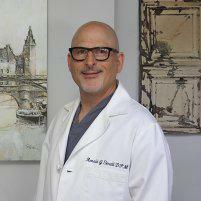 He is friendly and personable, and makes certain your medical needs are met. His staff (and dog) are top notch as well. Because of unusual growth, he removed the nail from by big toe. No pain or problems after my visit. I am a new patient to Dr. Small’s practice. I came in with persistent terrible pain in my ankle. After examining my ankle Dr. Small determined what the issue was and offered up a treatment plan. He is an excellent physician; knowledgeable, professional, and caring. I highly recommend Dr. Small and rate him a 10!! Dr. Small was very professional. He listened to me about my ailment and discussed his treatment for it. I asked him for exercises for my condition and a copy was printed for me to take home. Always a great visit with Dr. Small. Doctor professional and personable. Took time to answer all my questions regarding my procedure. Very satisfied with overall experience. Always Great! I only respond to Surveys when I’m Not satisfied. Pleasant experiencewith Doctor and staff.